The reaction came after a New York Times article revealed several senior-level managers left the company, quietly, because of sexual harassment. Some were given large financial payouts. 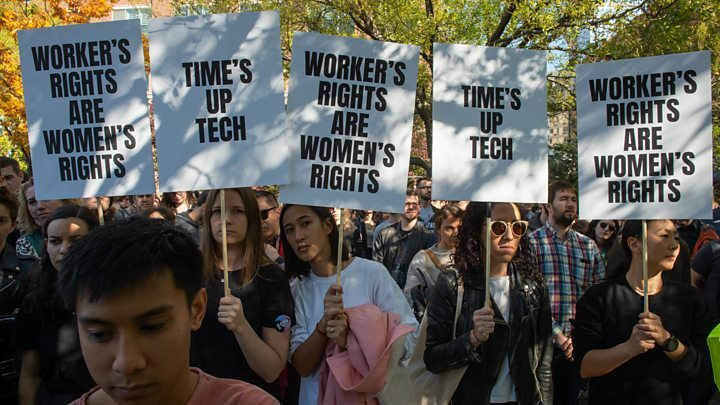 In addition to a more transparent process, employees are asking for an end to pay equity and forced arbitration, which requires employees to settle cases within the company and denies them the right to sue. How do you view the walkouts: a waste of time, overstepping, a productive way to protest, or something else? Respond to the same question for their list of demands. What, if any, impact do you think the walkouts will have on company practices? Googlers did encourage the company’s decision to end an artificial intelligence contract with the Defense Department.